When I went to this store to grab a birthday gift the other day, I was surprised to discover that a different charity was now the gift wrap money recipient. …contribution comes in… generic thank you note goes out… newsletter gets sent… annual appeal is mailed. But because the small business was lumped in with every other donor, and because the gift amount wasn’t major-gift-attention-grabbing size, there was no mechanism in place to recognize the unique nature of this business’ support or nurture the relationship in a meaningful way. Throughout our post series on targeting your key donor segments, we’ve stressed how donor communications must reflect the donor’s personal connection with your organization. Donor communications cannot be one-size-fits-all. This is especially true for your organizational and small business supporters. Communications aimed at renewing individual donor support may not make sense for donors who give through a business or a group. Because their purpose for giving and channels for decision making are distinctly different than that of individual supporters, organizations often need a completely different approach. ~ An adult Sunday School class of large, local church donated a collective gift in memory of a deceased member. ~ A local women’s club donates the proceeds from their annual rummage sale fundraiser. ~ A nearby church periodically gives $250 – $500 through recommendation of their community service committee. ~ A community foundation designates multiple gifts to an organization annually as a result of requests from several donor advised funds. ~ A dentist practice supports an annual 5K with a small gift and recruits their employees and patients to participate. ~ The law firm where a long-term major donor is partner, makes an annual gift of $250- $500. ~ A neighborhood book club makes occasional $50- $100 gifts. Can you easily distinguish your organizational, business and donors from your individual donors? Were you able to quickly pull a list of your organizational donors from your database? If not, take some time to categorize your donors as individual (which include families), corporation, small business, religious organization, or community organization. Do you understand the motivation for each group’s gift? Sometimes the purpose of the group gift isn’t obvious. For instance, perhaps the local women’s club (in our list above) mailed a check with no mention that these funds were proceeds from their fundraising event. This is a great reason for a post-gift call where you can both thank them personally and chat about the purpose and designation for the gift. Make sure you note the gift’s purpose in their donor record. Next year, you’ll have a good hunch when you call them to check in. 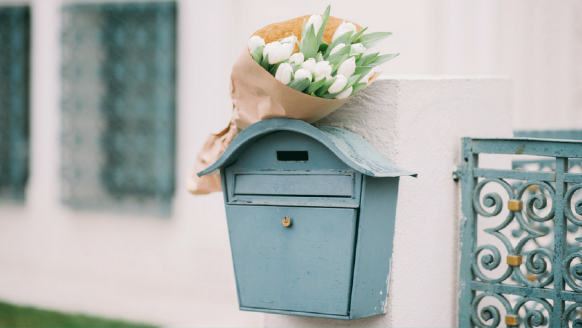 Is a direct mail appeal appropriate for this group or gift type? What communication methods would be most effective? A blanket, general renewal appeal may be inappropriate for the way a group makes their giving decision. The Sunday School class memorial gift for example, (again from the list above) is a one-time gift. It’s highly unlikely that this group would respond to a general annual appeal renewal request, since the gift was a collection of member donations. In this situation, a repeat gift is more likely to be inspired through a tactfully written, hand-signed request that acknowledges the memorial gift and also reports the outcomes of their past support. You could also try to identify the individual members of the class and consider them new donor prospects. Likewise, it would be inappropriate to mail your annual appeal to a community foundation. They should be excluded from solicitations and some other communications. You’d be better off mailing your newsletter with a personal note to the foundation staff. Is the organization’s contact person likely to change periodically? Community organizations frequently change officers and members. The person who was treasurer or president when the gift was made, may no longer be in charge when your next appeal or newsletter is ready to go. Since we all know to address our donors by name, rather than “Dear Friend” or “Dear Church Committee Members,” you may have to do a little research to discover the current appropriate person. Again, this is another great excuse to reach out to your donors personally. What might the former gift wrap fund designee charity have done differently to avoid alienating the gif shop owner? How might they have instead earned and inspired his continued support? It seems to me that a quick occasional phone call, or handwritten thank you letter for the business owner to post for his customers to read would have been all that was required. What a shame. Any bets on when the charity will even realize the gift shop has moved on?